Please welcome Cornelia Amiri to the coffin today! She's brought along some vampiric fey. 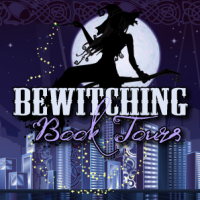 The first two books in Amiri's Dancing Vampire series are currently available. 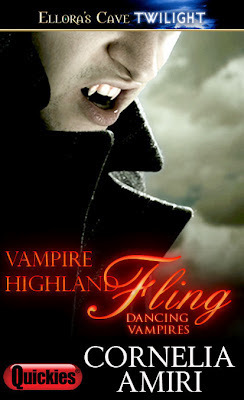 One lucky commenter will win an ebook copy of VAMPIRE HIGHLAND FLING, so do comment! Do you like vampires? What about fey? Are you intrigued by Scotland and Scottish lore? 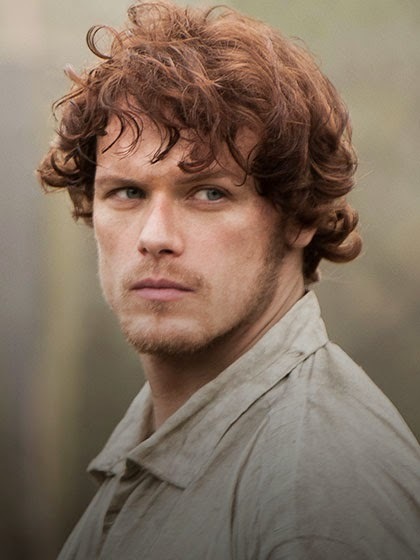 Do you appreciate a strong, handsome man in a kilt? If you said yes to any or all of the above, step underhill to the dwelling place of the baobhan sith. They are waiting for you. They’ve saved you a dance. Who or what are the baobhan sith, (bah vawn shee) you ask? They are vampiric fey who roam the Scottish highlands. All of them are women, no men. They are voluptuous and enticing beauties always garbed in green dresses. Also, they have talons, no fangs. Like other vampires, they drink human blood and they fry in the sunlight. In some tales their feet are like the hooves of goats. Many call them dancing vampires as they look for young men coming from the pub at night. The baobhan sith dance with them until the men are exhausted then they transform their nails to talons. The dancing grows rough as the baobhan sith rake their nails across their dance partner’s back. They claw at the men’s skin, draining their blood, so they can drink it. The most well known folk tale of the baobhan sith is of four young men, travelers, in the highlands, who stop for the night in a highland glade and build a fire. As they sit around the campfire they all wish they had a beautiful woman with them. Four gorgeous women, who just happen to be near the glade, join them. The men are thrilled when the women dance with them. Then the dancing grows harsh as the women tear at the men with long, claw like nails. One man runs out of the camp and hides between two horses. The baobhan sith circle him, but don’t come close enough to grab him. When dawn breaks they vanish. The man finds his friends bloodied corpses. The survivor escaped because the iron in the horses shoes kept the baobhan sith away. 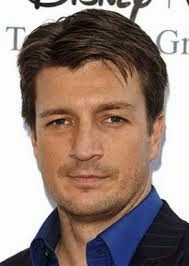 Just as silver harms vampires, iron, especially steel, is used as a charm, as protection against fey. As you know, horse shoes are considered lucky and they certainly were for the long ago traveler of this Scottish folk tale. For a modern take on the baobhan sith, enter Ellora’s Cave and step underhill to visit my baobhan sith in my Dancing Vampire series. As they are five quickies in all, I refer to them as 5 shades of fey. 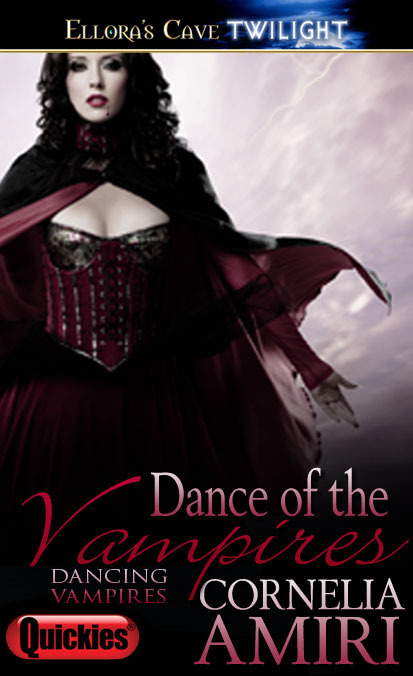 The first and second book, Dance of the Vampires and Vampire Highland Fling are now available. Here is a blub from the latest one. Second in the Dancing Vampires series. Murdina, a dark vampiric fey, hunts the Scottish Highlands for a man, but not for blood—Murdina wants love. She spots Cameron playing the bagpipes, and when a strong wind lifts his kilt, she takes a good look and decides he’s the one. 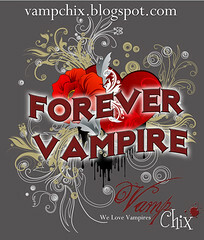 I love vampires, and fey! This series sounds awesome. Thanks for the chance to win! I like vampires. Nice covers. Thank you Elizabeth and bn100 for your comments. I'm so glad you like vampires and the fey. I'm sure you'll love my dancing vampires. 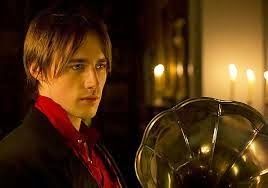 I love vampires and your dancing vampires look intriguing!!! Thanks for putting on this contest! Yhank you so much Lennifer. I'm so glad you like the dancing vampires.